Stand Up Paddle Boarding Goals & Environment. 3 Boards to Check Out. If you know the basic information about the boards and you want a perfect one, you might want to take a look at our paddleboard reviews . Stand up paddle boarding (SUP), is gaining high popularity. This sport entices a lot of people. It is easy to understand the reasons since it has a lot of benefits to the users. The following are some of the benefits for starters. It’s a fantastic workout. Being out there for more than 20 minutes experiencing consistent paddling leaves you with an amazing feeling that is a whole body and cardiovascular workout. Learning is easy and safe. Balance is the only requirement, for you to distribute your weight and stance evenly. You must come up with a way of holding the paddle, for you to be ready comfortably handle with your paddle. From the above point, the paddle is the best for family and guests. When you own a paddle, there is a chance of your summer friends enjoying it as much as you do. A member of your family may be interested in trying it, and most probably they too, will be hooked. In the water, the paddle makes you experience an unparalleled vantage point. Among the water sports, SUP is the only sport which allows people to stand and at the same time to move at your own pace. Making you explore different areas surrounding you. SUP has got many advantages, but everyone has their reason for falling in love with it. People have been enjoying this sport of paddle boarding for decades. In Hawaii, SUP has an excellent cultural history. 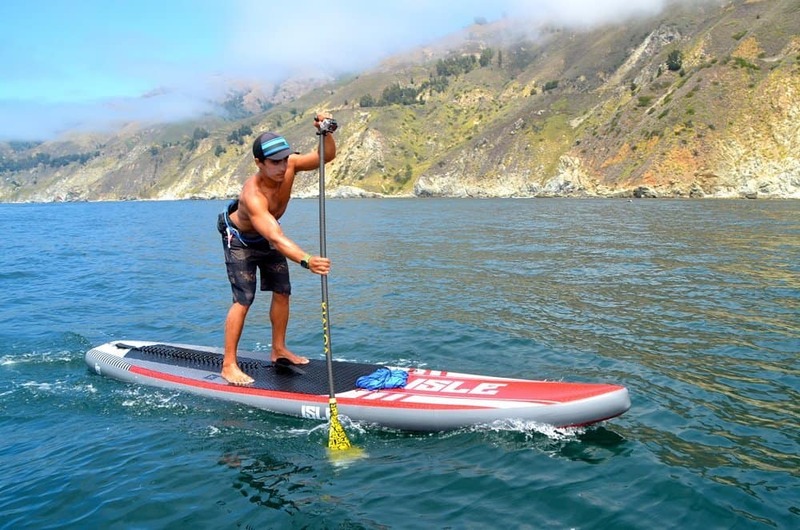 SUP was recently introduced in the USA as an official conventional water activity. The main aim of SUP board guide is to give information on many aspects associated with the sport. The guide is most relevant to the people who are using the board for the first time. The first important thing is to find your board. The post will give you important information about the process. Mostly, the first board helps you learn more of SUP and will enable you to become comfortable at your sporting area. You should therefore consider where you intend to use your board. You should consider if you will only be using it in flat-water conditions if, for example, you live next to a bay, pond, or lake, you are unlikely to face a big surf. These are the best conditions to take SUP board with long paddles. You can achieve your goal by entering the local SUP circuit. You will always experience little chop, but the most important part is; the board is designed in a multi-purpose touring board for flat water. It has excellent oversee stability and displacement bow. 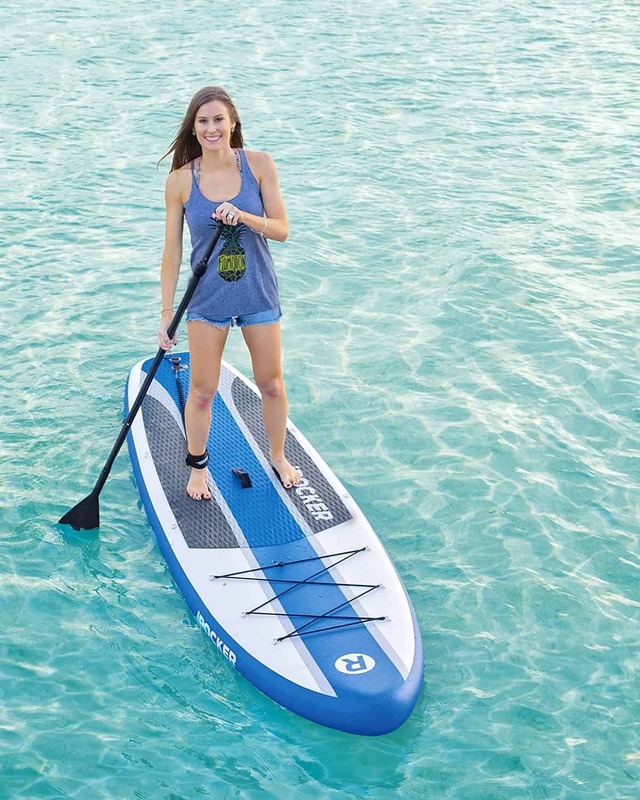 (Also See our : 10 Best Touring Paddle Boards for beginner to Professional SUP’s). The wider the board, the more stability it will provide while it will rail with bigger thickness and volume. When you are aiming to start in waves, you should get a surf board which is purposely designed for that characteristics. The surf Sup is usually short with a planning hull. Towards the tail, the surf or wave SUP has bigger rocker and concave hulls for them to be able to carve through the waves. Many people prefer to have the board on flat-water and surf which are small. Both hybrid and crossover SUP are the best choices. Hybrid and crossovers SUPs are included in the all-rounder category. This board can handle the waves, and in choppy water, it will displace well. If looking for something to give you fun, beginner boards, and all-rounder are the best choice. These boards are made with cushy deck pads, plenty of stability and affordable durability for people using it the first time. It’s good to look for something which has a composite structure with plastic, poly shell or fiberglass. It will be used for near shore stand-up paddling and family members. 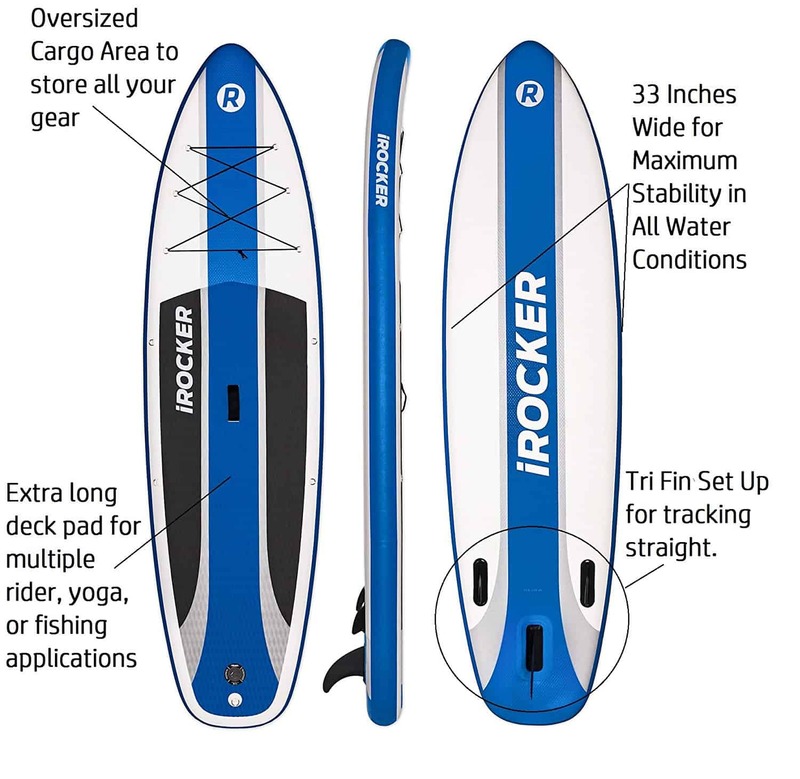 The iRocker Cruiser is among the most stable boards available. It’s the best for beginners who require a lot of stability. People who want to take their kids, dogs, and gears can use it also. Find our full review on the Irocker here. Thurso Surf is among the upcoming companies in the year 2017. 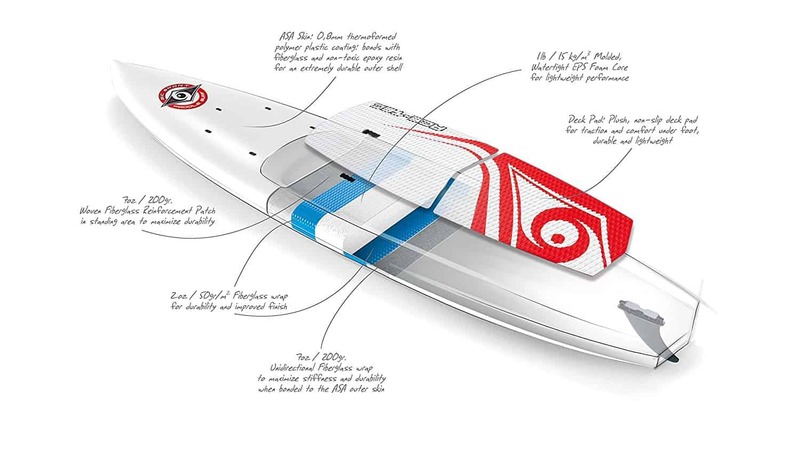 The first board they developed is a super sleek which is inflatable; it is the best in flat water cruising and touring. The third board which is worth mentioning is the BIC Ace-Tec. 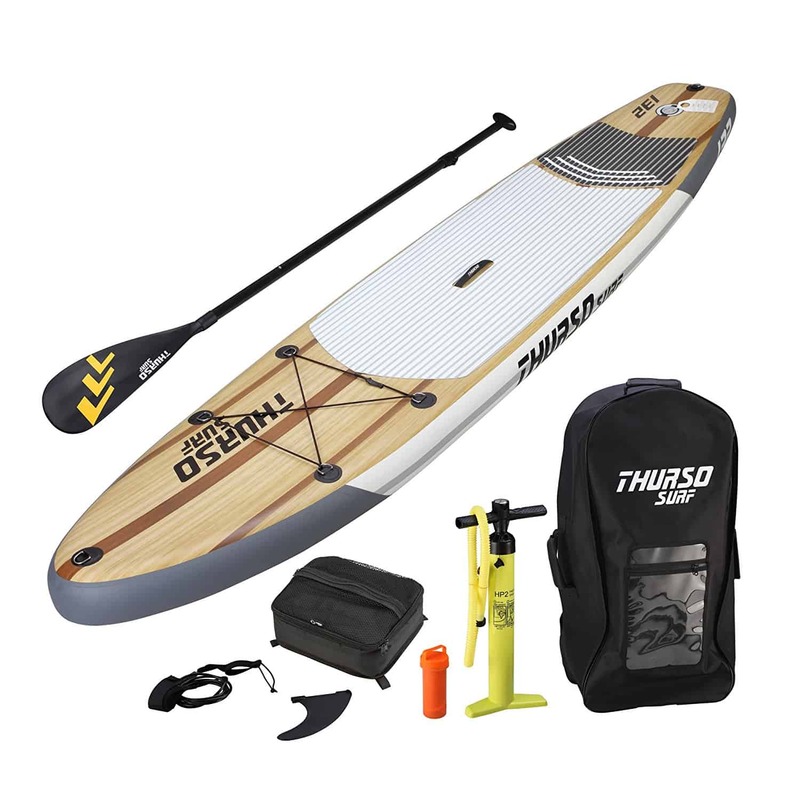 This board is all-round which is perfect for both beginners and intermediate paddlers, and it can be used in all water condition. This board is the best option also for the families. You can find our full review of the board here. We have mentioned earlier about the displacement hulls in racing, all-around and touring flat water cruising boards. When thinking about this board, it best to consider them as the V-shaped hull which is found in boats. It’s designed with a nose for displacing water, and at the bottom of this board, flattens are slightly below the nose. This allows you to step on the board to pop the nose from the water. For riders who are heavier, displacement hull offers them increased stability. A planning hull is one of the flat hulls. It looks more of the windsurfer design or traditional surf boards. They are versatile hulls making them be used in many conditions. Typically they are not the best choice for racing or touring board, but many people are perfectly happy using them as an all-arounder. The perfectly works in the surf. Mostly, the planning board is shorter and wider. They have a higher volume to make them more stable and buoyant. Almost all board descriptions have a list of specs. Specs for boards are important for one to consider. It is important to listen keenly to know which sizes are recommended to which riders. You must know which board is best for which rider. In the specs, maximum rider weight is included. The last thing riders want is to start their rides with small boards. With undersized boards, padding becomes hard. Riders who want to go faster and paddling downwind should consider having long stand up paddle boards. The range of these boards is from 12.6” to 14″. These equipment are big, and they will require you to transport and store board which are equivalent to their sizes. Longer boards are better when it comes to long distance paddling. They usually allow bigger space for the storage and carrying of gear on board. If in future you are having plans of touring and downwind paddling it better to consider purchasing a longer board. On the other hand, the shorter paddle boards range from 9″ to 12″, although 12″ is long when you see it. These more concise paddle boards are very easy to maneuver and turn, they are relatively easy to handle in waves. For people who are larger riders and stability of the board is their biggest concern the shorter board have a width of 32″. The width is enough to cater for their requirement. People who their primary goal is touring and racing, short boards are not the best options. They don’t displace water making it difficult for riders to paddle efficiently. In downwind runs riders using the short paddle board will have difficulties catching momentum. Many crossovers, fitness, and family boards which are oriented for all-rounder SUP range from 10” to 11.5”. with this range sizes it becomes easier for the boards to accommodate a lot of riders sizes and also many abilities. These boards are easier to transport, store and carry. Board width determines its stability. It’s advised that beginners should purchase boards with greater width since they offer more stability to them. Usually, the board width starts from 32″. Boards which have a width less than 30” mostly are little tippy for the first time and are difficult to get comfortable and find your stride. Narrow boards are made to glide better, and they are the best option when it comes to riding faster. It most recommended for rides to start with boards which are wide in flat water and recreational conditions. The general guideline recommends beginners to use the board with a size which is twice their weight. Since the volume is measured in liters, we should do some calculations. A person who has the weight of 82kgs should purchase a board which has a capacity of 164 liters. Beginners are also recommended to have a board which has enough stability and float. Most of the manufacturers usually ensure that they recommend the appropriate weight for every board. If you are doing research on boards it important to know about the volume. If you find a board which doesn’t have volume in the specs it necessary to ask the person in the shop you are doing the buying. For people who search for boards online, sometimes it becomes difficult to appreciate some better details offered by some SUP boards compared to others. Deck pad is the most famous riders should consider especially the beginners. The deck pad usually provides Board’s traction and comfort. Most of the current boards have full-length deck pad. It’s a good a feature but it not required by every rider since it mostly about traction design, durability, and thickness of the foam material. If you are planning to have long rides and for more extended period ensure you buy boards which have high-quality deck pad. When riding for a long distance while your feet are fixed in one place while supporting your body weight, high-quality deck pad will bring over you comfort and welcomed traction. Will give you a place where you can kneel or sit when for you to rest. Almost every paddleboard has a carry handle. If a paddleboard doesn’t have a carry handle, it becomes hard for riders to wrap their arms around. Many of the manufacturers consider this feature, and they put it at the center of the board. With the handle, it easier for you to a rider. The carry handle makes it easy for the riders to move the board on their hip since the weight will be evenly distributed. For more comfortable paddling in the board, carry handle recessed in the board. Most of the carry handle used pad material to make a soft and comfortable layer for your hands. The lease attachment is the one responsible for attaching the strap into the stainless steel. The recessed crossbar is located to the tail or rear of the board. Leashes are the best option when it comes to long distance paddling. A detailed post on SUP leashes will be offered soon. Leashes are not recommended for riders to use SUP in rivers. They can be used in rivers only if they have a quick release mechanism. Tie down attachments are responsible for holding gears using bungees and straps. Most of the boards are manufactured with ties in place. They are the best in carrying dry pack and bag when riding for long distance or using the SUP as a mode of transportation. This is a common construction type for SUP. With this technology, riders will buy the board with a mid-price. This technology also uses different layering techniques performance enhancement and foam quality. They include wood stringers and carbon fiber. With advanced technology, the prices increase with the assurance of durable and lighter boards. Almost every top brand boards have the EPS construction structure. They include fiberglass cloth, Styrofoam core, and epoxy lay-up. Most of the kayak crossovers and beginner are constructed with molded and durable plastic. Boards made of plastic are heavier and are designed for fewer performances. They are affordable, and they are the best option for beginners. 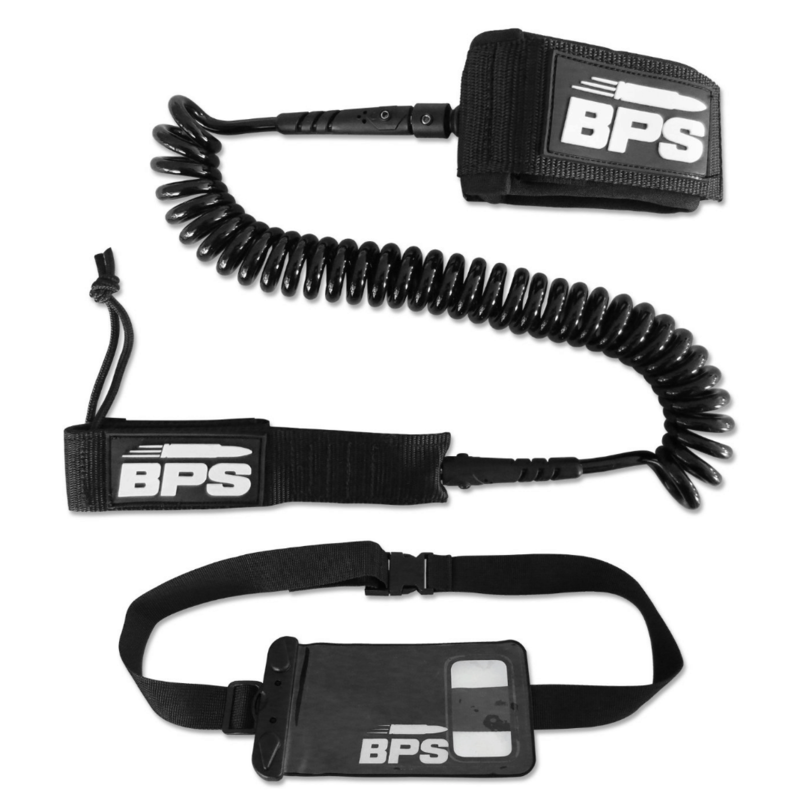 They are found in both large outdoor gear shops and big box retailers. When you need a board, which will be used by the whole family doesn’t cost you a lot, the plastic board are the best. In case you decide to change to a higher quality board, you will experience reduced weight, smoother glide, and higher performance. This is the hybrid construction which is used in BICs Ace technology. Some people refer it to plastic, but it consists of fiberglass layering, styrene polymer outer layer and foam core. This makes a lighter board compared to the one produced by the plastic only. Boards made of this hybrid are very durable, economical and suit both beginners and advanced level riders. Due to their rigidity and durability, they have become very popular with the riders. With the combination of the convenience of its packing in a duffel bag, it becomes more attractive for many rides. It is of the highest quality. It has reinforced PVC exterior and double seams. They also have high highest PSI which ranges from 15 to 25. Boards made of these handles are very rigid, but they usually handle off rocks together with other stationary objects. I have to admit, not much looks better than a paddle board with a beautiful wood deck or exterior. These boards tend to be much more expensive. 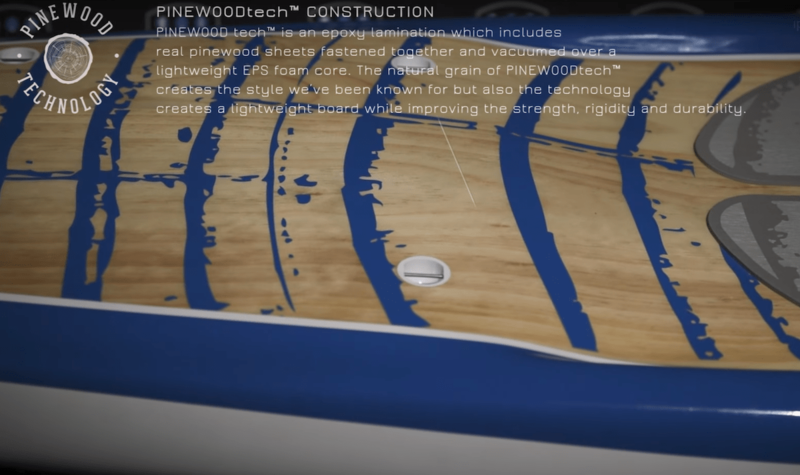 Paddleboards that have wood construction, such as the pinewood layered Zephyr from Tahoe SUP, blend the wood with other materials to ensure that the board stays light enough and doesn’t become too heavy. Typically this is done by having an EPS foam core or even a hollow design. Most beginner SUP’s come with a typical 9″ or 10″ fin. These are great for most beginners and even intermediate boarders. You can, however, improve the tracking performance of your board by switching to a longer fin. Fins normally come in thruster or single set-ups. Thruster setups are 3 fin configurations that are great when you are riding waves as they offer sharper turning and responsiveness. 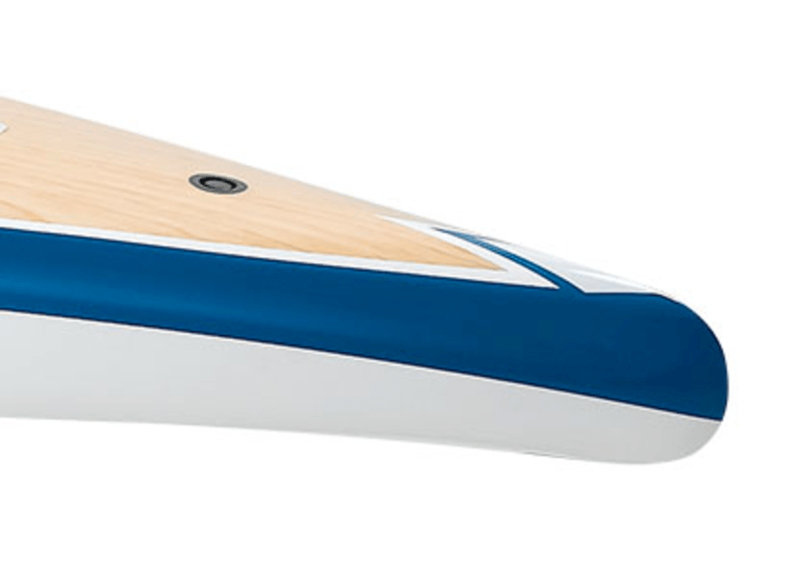 If you are racing or touring, you will find that a large single fin becomes more important for tracking. Fins are typically made form either fiberglass or plastic. 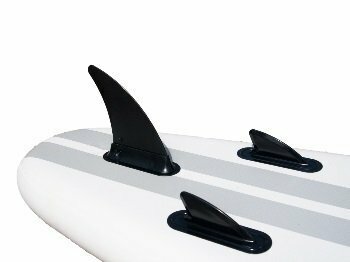 Paddleboard fins are attached to a fin box that is located towards the tail of all boards. You can change these out on most boards with simply loosening a nut and/ or bolt that is used to secure the fin in place. There is also an adjustability that you can make when your board has a fin box. You are typically able to slide the fin forward or backward in the provided slot. Moving the fin backward promotes better tracking performance. If you move the fin forward, it will give you better turning. Thruster side fins do not offer this as they are normally in fixed positions. 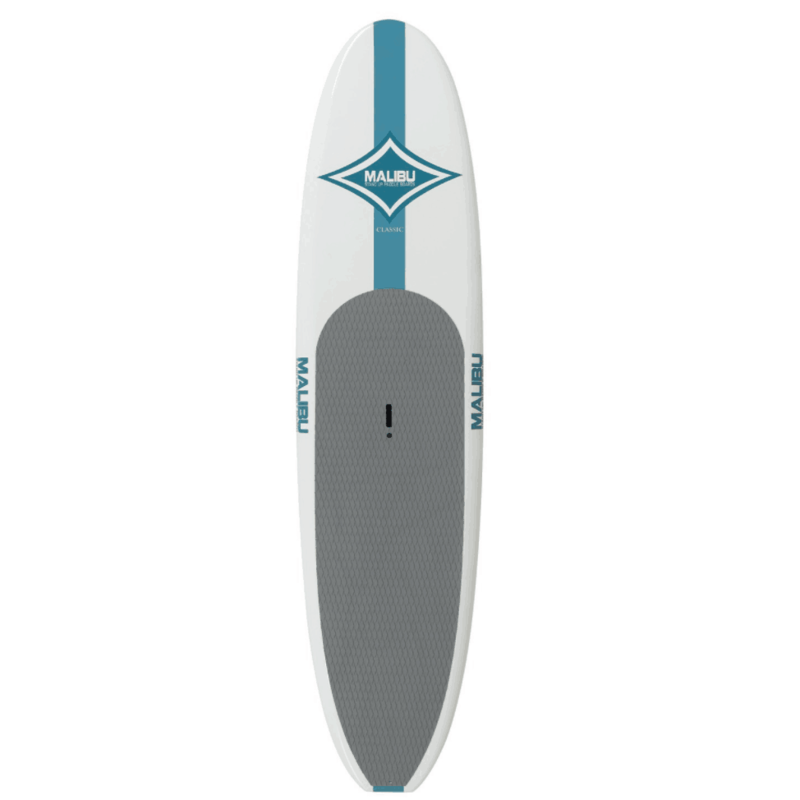 All the main entry level and across-the- board SUPs usually comes with an adjustable paddle. The paddles are necessary especially if you want to share the board with friends or family. A deluxe adjustable paddle must exhibit height measurements along the central shaft to help you know the tightening point. Paddles are supposed to be 8-10 inches taller than your vertex. 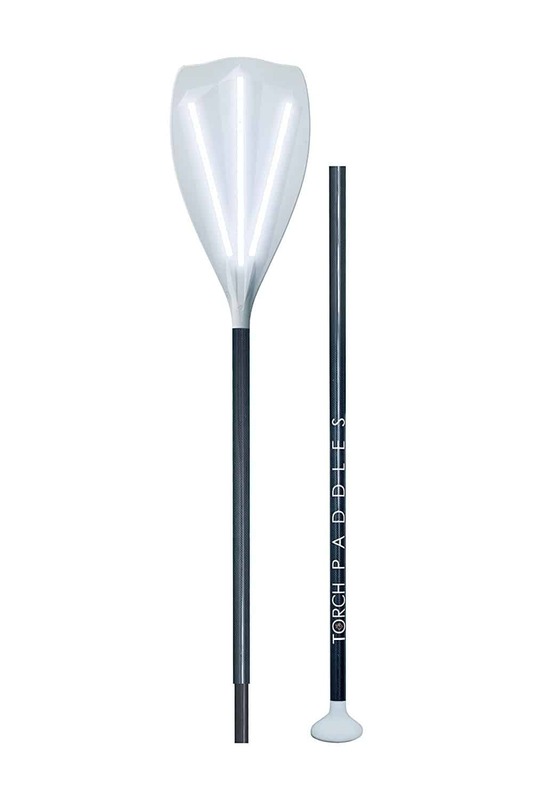 This helps in giving you enough ascendancy for powerful strokes when in the water. If you want something featherweight and lasting to start with, find a fiberglass synthesized paddle. As you gained more experience and advanced in your paddling knowledge and maneuver, look for featherweight, immotile length paddles manufactured from carbon fiber or other avant-garde materials. More exceptional paddles will also constitute varying blade lengths and inclines, bet on your preferred focus i.e. sailing and touring in contrast to the direction of the wave. Compared to any other piece of high-quality outdoor apparatus, stand-up paddle boards are sometimes expensive. However, with the upsurge of board manufacturers and merchandisers investing in the SUP market, there are cheaper deals available. Our primary aim is to list some of these great options on the site. 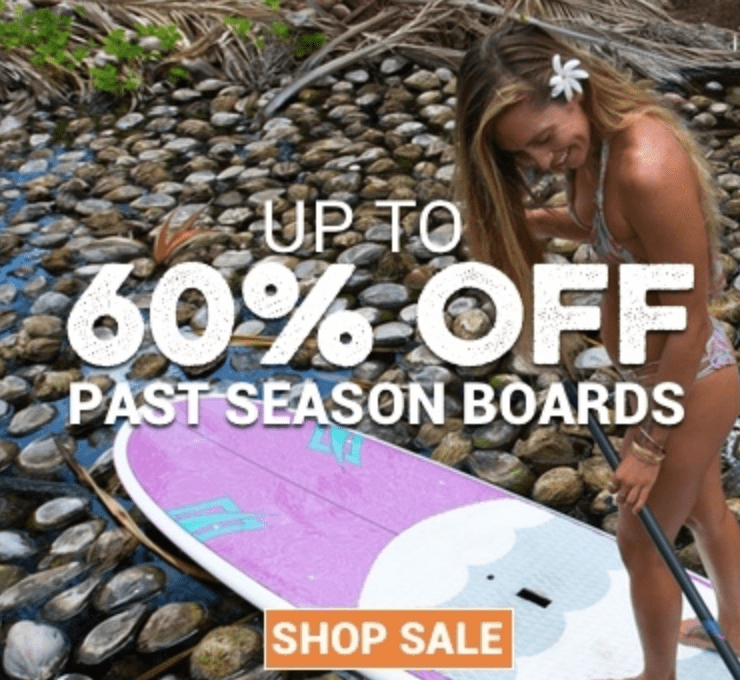 Generally, for a starter purchasing their first board but seeking for one from a renowned brand that will offer a real experience of SUP and that lasts longer, find for a board in the price range of $ 700-1400. That may sound extreme but remember that boards with a price tag of over $1200 can be purchased in the $900 range. If you have the will to forfeit a minimal amount on assembly or exquisite details regarding durability or load cut back, you can explicitly look for a good board worth less than $800 after conducting a thorough research. How do I take care of my new SUP board? • Always store the board out of the sun, and store in a cool, dry area. • Transport the SUP board and paddle in a safe bag to avoid damaging it. • Have extra caution when putting the board out of the water as there may be sharp objects and rocks that might damage it. • When paddling, avoid any form of obstruction that might spoil the board, paddle or the fins. • In case you have a vent plug, always keep it closed when on the water to stop water from getting into the SUP board thereby damaging the foam core. • Maintain the vent cap opened when storing the solid SUP board as it will help reduce pressure buildup inside the board thereby preventing it from blowing up. • Always wash the SUP board after going in the salt water, thoroughly cleaning the fin boxes, slider nuts, and screws. • Check for dings or cracks on the board or paddle regularly. • Inspect regularly the board’s nose and rails as they get damaged frequently. • In case you find something that can potentially cause harm thus letting water in your SUP board, take it for service immediately. Always have ding tapes that can offer temporary patches before taking to a professional repair. Surf stand-up paddle boards are relatively short, with larger rocker narrowed nose and tail compared to allrounder and flatware boards. If you are spending a lot of your time in the surf, surf paddle is the best. Its narrow shape makes it more maneuverable on the wave. Their tradeoff is they are slower where they don’t track in flat water in a straight line. Usually, they are less stable. All-round is known to be longer, thicker and wider compared to surf specific models. For starters, it’s advisable to use these multipurpose and versatile boards; they give you a chance to explore every aspect of the sport from a single board. Their big width makes them very stable. For open ocean touring and flat-water purpose, they have decent tracking and glide. They have enough rockers which facilitate decent surf performance. For some all-round boards, there is the availability of windsurfing option. The deck has a foot fitting which mounts windsurf sailing ring which makes the bout to be versatile. Flat water boards are the best for flat water. They are longer than all-around boards. They have a nose at the bottom which makes the board to smoothly slide in the water, which increases glide and helping it to go straight. For more speed and glide, their sides are usually rounded. They are wide enough to be used by beginners although they are not recommended due to their narrowness. They are the best for family use. Purchasing your first SUP is normally a major investment, but with attractive returns. Always take your time to research the board and put in considerations on where you will be utilizing it. Avoid buying a board as per the looks and design. You have to buy something that will maximize your time on the water, but not something that will make you struggle and give you one hell of time. We ultimately hope that you will use the above information as a guide for researching for your first board, or your next purchase. Keep checking back with the SUP Boards Review for more board analysis and comprehensive reviews of factors you might not have considered before.